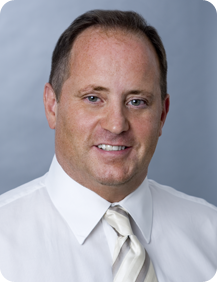 Dr. Kenneth R. Branton is president of Pain Management Centers of New England and Pain Modulation Associates as well as Medical Director of the Pain Management Centers at the Lahey Outpatient Center of Danvers in Danvers, Massachusetts, and Addison Gilbert Hospital in Gloucester, Massachusetts. Board-certified in both Anesthesiology and Pain Medicine, Dr. Branton earned his medical degree from University of Rochester School of Medicine and Dentistry in Rochester, New York. He completed his residency in Anesthesiology at Rush-Presbyterian-St. Luke’s Medical Center in Chicago, Illinois, and Pain Management fellowship at Harvard Medical School and Brigham and Women’s Hospital in Boston, Massachusetts. Dr. Branton was one of the first physicians in the Chicago area to utilize percutaneous nucleoplasty radiofrequency technology to treat symptomatic patients with contained herniated discs, and was featured performing this technique on Chicago's NBC affiliate news broadcast. He was also the first physician in New England to perform radiofrequency of the sacroiliac joint with the Simplicity III radiofrequency probe. During his time in Chicago, Dr. Branton held the position of Director of Pain Management at Advocate Illinois Masonic Medical Center where he taught residents at this Level 1 trauma center and presented multiple lectures on pain management for the Chicago Medical Society and the Illinois Society of Anesthesiologists. He is the former president of Beverly Anesthesia Associates, Inc. Overall, Dr. Branton has more than 25 years of experience treating pain management patients. Dr. Branton is a member of the American Society of Anesthesiologists, the International Association for the Study of Pain, the American Society of International Pain Physicians, and the Massachusetts Medical Society. After completing his residency, Dr. Lantz continued to serve in the United States Army and was assigned to Fort Bragg, North Carolina. 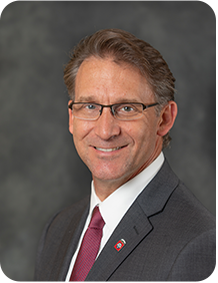 Assigned there for over four years, he worked at Womack Army Medical Center serving as the Assistant Chief of Anesthesia and Director of Obstetrical Anesthesia in addition providing advanced pain procedures in the pain clinic. He completed two tours in Afghanistan as Chief of Anesthesia to a General Hospital and Senior Medical Officer to a Airborne Forward Surgical Team in combat zones. On each tour he established forward pain management clinics in addition to providing comprehensive anesthesia and critical care services to U.S. soldiers, allies and the Afghan people. He completed his service at the United States Army John F. Kennedy Special Warfare Center and School. In his free time Dr. Lantz enjoys fitness, nutrition, golfing, boating, paddleboarding, camping and spending time with his active family.